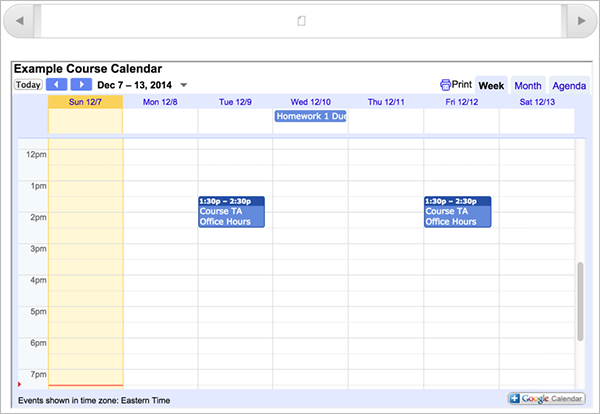 Before you can add Google Calendars to your course, you must enable the Google Calendars tool in Studio or OLX. 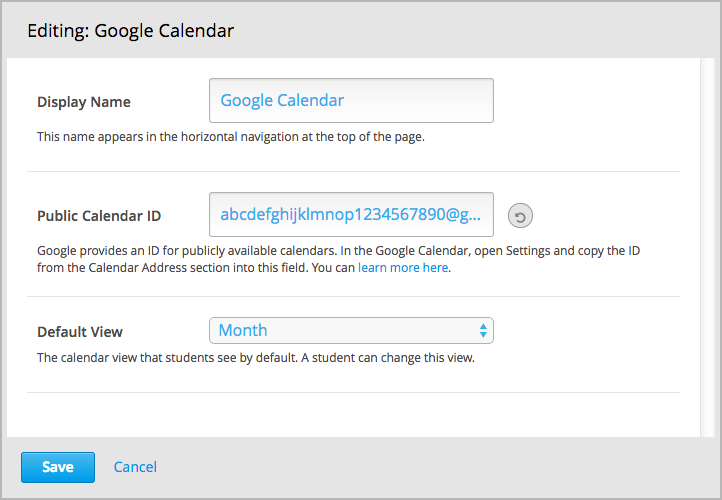 To enable the Google Calendars tool in Studio, you add the "google-calendar" key to the Advanced Module List on the Advanced Settings page. (Be sure to include the quotation marks around the key value.) For more information, see Enable Additional Exercises and Tools. 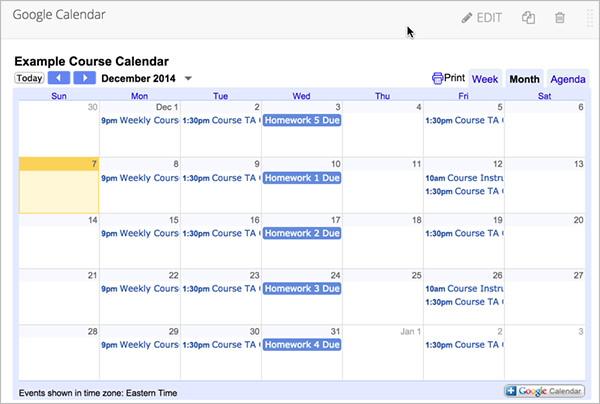 You can then Preview Course Content to see how the unit with the Google Calendar will appear to learners.